Col Poole's BBQ in East Ellijay, Georgia has grown quiet a bit since this post card was made. Now it is even gaudier. 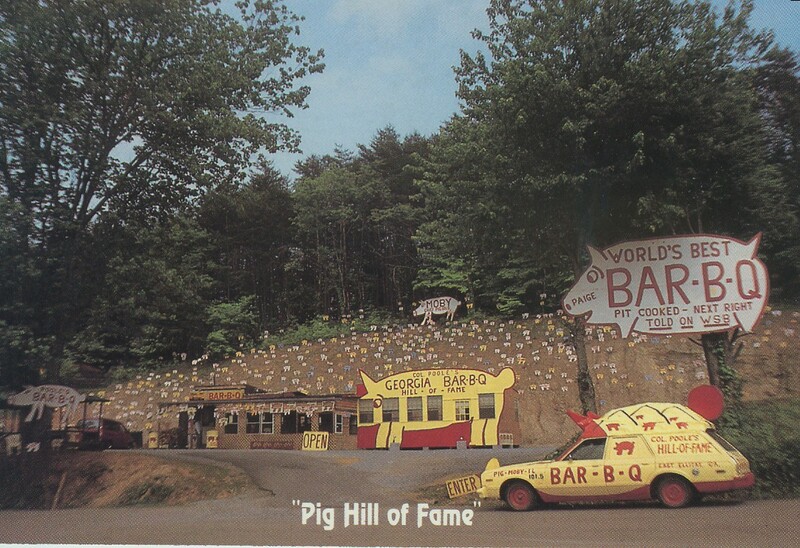 But what do you want good taste in barbecue or good taste in roadside advertising? We ate there not long ago for lunch and he had quiet a few customers, including firemen and policemen. If business gets any better he is going have to replace those pig tombstones with a pig crematorium. ROCK, YA'LL SHOULD BUY A HUGE MOBILE HOME. YOU NEVER STAY AT "HOME'.